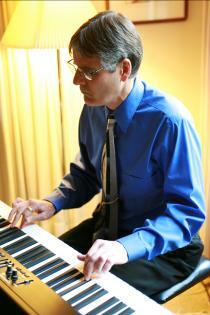 Peter began playing the piano in second grade. He attended the Manhattan School of Music prep program for several years where he was classically trained in music theory and piano. The real fun began in graduate school where he was introduced to jazz. 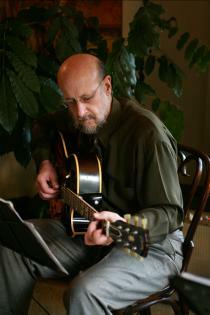 Always hooked on music that was written before he was born, Peter pursued his interests in jazz after coming to Rochester, studying with several Eastman School of Music graduates and attending the Eastman Community Education program.� He has recently been writing some tunes that the trio plays in addition to the standards. Michael was lucky to grow up in a house full of music.� His father loved big band swing and often played the piano or accordion at family gatherings.� At age thirteen he got his first electric guitar, and banged around in garage bands throughout high school.� At college he became interested in audio and worked as an engineer and disc jockey at the campus radio station.� He's played guitar with a group of friends for the last thirty years, and plans to keep it up for thirty more. Cy tried accordion and clarinet in his youth but neither really caught on.� He was more successful with guitar but switched to bass mostly because Michael is a much better guitar player! Cy also plays a little piano and is an amateur composer.� Although this group plays standards and has no need for original music, Cy has written several songs for another band he plays in called����������������������� including "Ace In The Hole", "Justine", and "Bit By Bit". 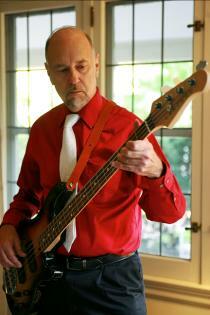 Cy has known Peter and Michael for nearly 30 years both at Xerox and in numerous jam sessions. Peter, Michael and Cy have been playing together in Rochester, NY for over 20 years. In their previous lives, they enjoyed fun and fulfilling careers as scientists at Xerox. They retired a few years ago and are now able to devote more time to their musical passions and share the experience with others.